Asapov has been described as one of the senior Russian military advisers in Syria. 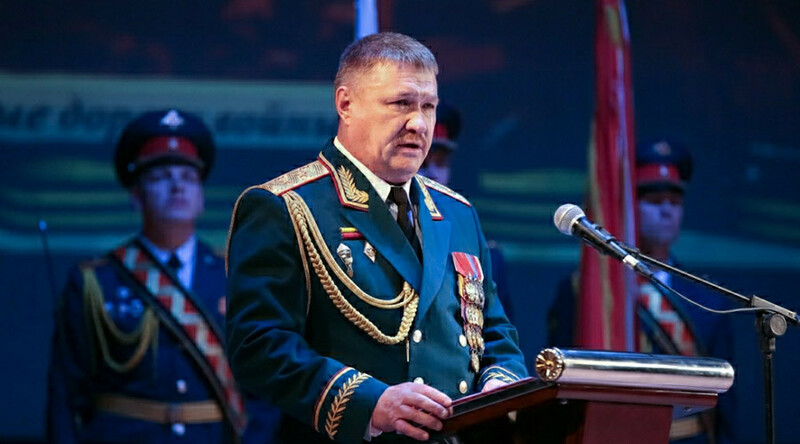 "As a result of a sudden mortar shelling by IS militants, Lieutenant-General Valery Asapov was fatally wounded by an exploding shell,” the MoD said. In recognition of his services, Lieutenant-General Asapov is to be presented with a state decoration posthumously. Earlier in September the Syrian armed forces, working closely with the Russian Air Force, successfully broke the siege of Deir ez-Zor by Islamic State, and residents’ lives have begun to return to some semblance of normality. With the highway between Deir ez-Zor and Palmyra back under government control, Russian and Syrian humanitarian aid has finally been able to flow through to the formerly besieged inhabitants. Official figures from the Defense Ministry stated in August that 34 Russian servicemen had been killed in Syria since the start of the Russian military campaign there in 2015. In early September, the Defense Ministry announced the death of two more Russian servicemen in IS shelling in Syria. Together with Asapov, that brings the overall death toll of Russian servicemen in Syria to 37. Condolences have been pouring in since his Asapov's death in an ISIS attack was announced, with those who knew the general personally describing him as a model Russian officer. “The general was always on the frontline, showing by his own example what it takes to be a real commander,” the regional parliament said in a statement issued in his memory. “Comrades-in-arms remember Valery Asapov as a reliable, brave, resolute, courageous and principled man… His death is a huge loss for the Armed Forces of the Russian Federation. General Asapov’s memory will live on forever,” the statement by Ussuriysk officials reads. Born in 1966, the eldest of three brothers, Asapov enrolled in the Soviet Air Force and by 1987 had achieved the rank of lieutenant. Deployed to Grozny during the First Chechen campaign, Asapov was wounded in the leg, leaving him with a permanent limp. In the early 2000s, he was given command of a parachute regiment in the Russian peacekeeping forces in Abkhazia before being dispatched to the Kuril Islands in the Russian Far East in 2006. In 2013, he was presented with the prestigious Order of Merit for the Fatherland by President Vladimir Putin. This is the latest incident in which the Russian military was targeted in jihadist attacks related to the Deir ez-Zor campaign. On September 4, two Russian contract soldiers were killed in IS shelling while on the move in the province of Deir ez-Zor. The Russian Defense Ministry accused the US security services of orchestrating an Al-Nusra Front offensive on September 19, which took place near the city of Hama in Idlib province. 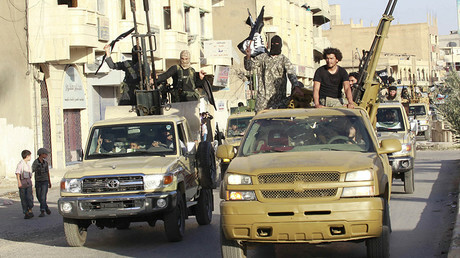 It is believed to have been launched in an attempt to thwart the Syrian Army’s Deir ez-Zor operation. The Russian military police deployed to the area to monitor ceasefire in the de-escalation zone was specifically targeted in the attack, according to the ministry. Syrian forces with Russian air support repelled the offensive, killing around 850 jihadists. All 29 encircled Russian servicemen were successfully freed with the help of special forces and air support. Three Russian troops were injured. Syria Foreign Minister Walid Muallem also recently blamed the US for using terrorists to derail the Astana peace process which is championed by Russia.